It's the most wonderful time of the year! Christmas is near and my family and I will be putting up our Christmas tree and decorations this weekend as we do every weekend after American Thanksgiving. We also will be talking to our kids (as we've been doing every year since they got the meaning of the holiday) about what they are grateful for and how much our family is blessed to have all that we have. There are some kids and families that may not be fortunate enough to get anything for Christmas this year and I love that my kids want to help those that are less fortunate. We love to donate items. Items that I haven't used in our home, haven't been opened or toys that the kids haven't played with in a while. We've been donating to the Red Cross for years now and my kids love that the toys that they once loved and played with will be going to children who don't have much and will love the toys just as much. Other than donating, the hubby and I feel that the kids are now old enough to give back a little more. Each year the kids get shoe boxes from their school to help send goodies to kids in Africa, but we want to do something this year together as a family. So along with them sending off shoe boxes, this year we will be taking both kids to our local soup kitchen to help serve and pass out food. I think this will not only be great for my kids, but for the hubby and myself as well. It's been a while since I was in a soup kitchen and can't wait to do it again. 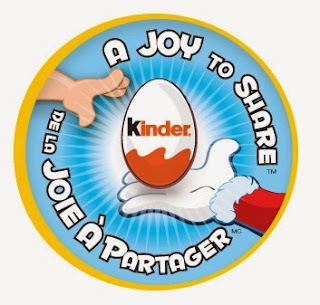 If you can't afford to donate or don't have the time to volunteer, but still want to help others this holiday, Kinder Canada is providing a great opportunity to get involve and share this holiday season by creating a Holiday Greeting Card on their Facebook page for their, "A Joy To Share," program. For each card that is created, Kinder will be donating $1 to the Children's Miracle Network. 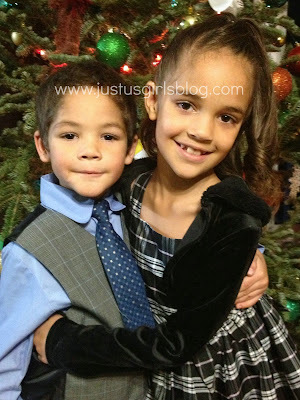 Aren't they amazing?! Just another reason why I love this company. 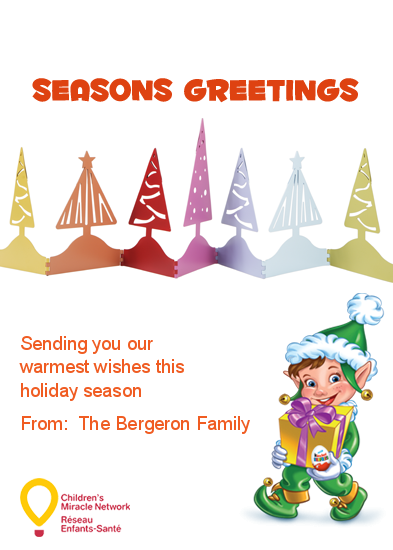 The kids and I created a holiday greeting card as well and they were very happy to know that in exchange for creating the card that there was going to be a donation made to help families at Children Miracle Network Hospitals. Creating a card is easy and takes a couple of minutes. You can also save the card on your computer, print it out and share it with your friends and family on Facebook. Let's help Kinder Canada reach their goal of $25,000 this holiday.